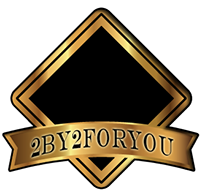 2by2ForYou gives you the ability to become an Independent Marketing Representative, allowing you to share the opportunity of owning a home business with others. You will be part of our unique compensation structure. You have the option to become a Phase 1 Manager, Phase 2 General Manager, Phase 3 Regional Director and Phase 4 Executive Director with 2by2ForYou and will be placed in the company-wide compensation structure. Start with the Phase 1 Manager Package and work your way to the Phase 4 Executive Director Package. Each Compensation Structure works exactly the same and all have features designed to create a substantial income when you begin to build your company with additional representative. 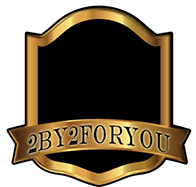 As others you introduced to 2by2ForYou become Independent Marketing Representatives, they will be positioned on your 2x2. A person can be positioned on your 2x2 the following ways: (1) You personally introducing them, or (2) One of your Independent Marketing Representatives introduces them. When your 2x2 compensation structure is complete, you will re-enter a new compensation structure following your Independent Marketing Representative and receive your re-enter products. Commissions end every Friday at Midnight PST. PHASE 1 - To become a Manager at 2by2ForYou, there is a $25 one-time product purchase where you will receive the Kiss Retail Goodbye Card, our Exclusive Benefit Package where you can save and earn money, Access to Direct Sale Products; along with training materials, a replicated website, back office tracking technology and marketing materials. You will be placed in the first available position on your company structure. As it begins to fill, you will receive commissions when your 2x2 matrix is filled. PHASE 2 - To become a General Manager at 2by2ForYou, there is a $50 one-time product purchase where you will receive access to the Alabama Wholesale Travel, our Exclusive Benefit Package where you can save and earn money, Access to Direct Sales Products; along with training materials, a replicated website, back office tracking technology and marketing materials. You will be placed in the first available position on your company structure. As it begins to fill, you will receive commissions when your 2x2 matrix is filled. 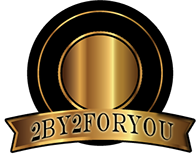 PHASE 3 - To become a Regional Director at 2by2ForYou, there is a $100 one-time product purchase where you will receive the Coffee Cup News 4 You which is updated every 30 minutes. Read all about Health and Nutrition on a daily basis. In addition, you will have access to our Exclusive Benefit Package where you can save and earn money, Access To Direct Sales Products; along with training materials, a replicated website, and marketing materials. You will be placed in the first available position on your company structure. As it begins to fill, you will receive commissions when your 2x2 matrix is filled. PHASE 4 - To become an Executive Director at 2by2ForYou, there is a $150 one-time cost and you will receive the Coffee Cup News 4 You - Executive Addition. This is updated every 30 minutes. Read all about the latest things happening around the world. In addition, you will have access to our Exclusive Benefit Package where you can save and earn money, Access to Direct Sales Products, along with training materials, a replicated website, and marketing materials. You will be placed in the first available position on your company structure. As it begins to fill, you will receive commissions when your 2x2 matrix is filled. A total of 6 new Independent Marketing Representatives to your organization gives you a commission between $60 to $400, depending on which level you are participating in, PLUS you will be positioned over and over again so that you can continue to build your organization by sharing with others the ability to become Independent Marketing Representatives. Remember, this is just the beginning, as you continue following the steps, your income can grow to over $50,000 per month in a very short amunt of time!